V145 Phoenix was built in 1967 by the Cheoy Lee shipyard in Hong Kong. In the 1970s, she was owned by Victor Bogachoff, and kept in San Francisco. 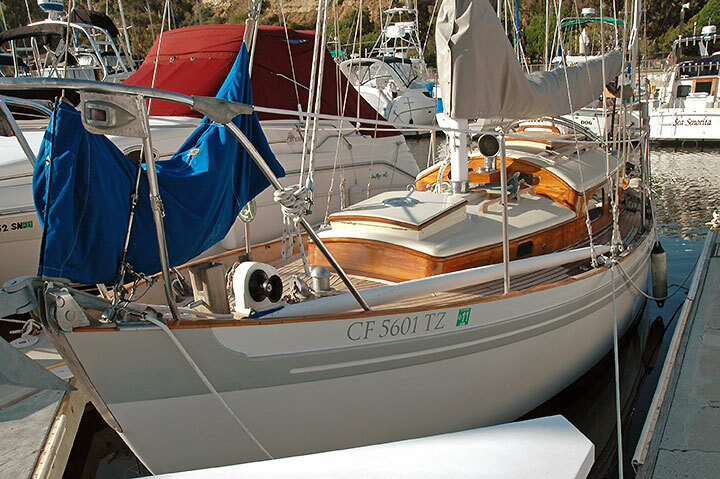 She is now owned by Ron Geisman, who bought her in 2007 from Port Townsend, Washington, and now keeps her at Dana Point Harbor in California. More images of her can be seen at www.rlgad.com/phoenix, including some images of her refit, where Ron has done an immaculate job that puts my own efforts this winter on Drumler into the shade.